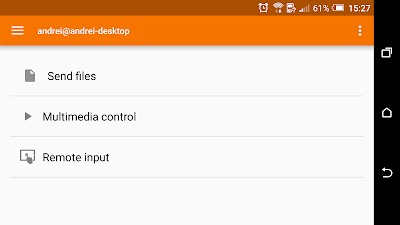 KDE Connect is a tool which allows your Android device to integrate with your Linux desktop. With KDE Connect Indicator, you can use KDE Connect on desktop that support AppIndicators, like Unity, Xfce (Xubuntu), and so on. KDE Connect 1.0.x includes some new features, like triggering custom commands (you set this up on the desktop using the KDE Connect configuration, then launch them from the mobile device), displaying desktop notifications on the Android device (this plugin is disabled by default and you'll have to enable it on both the desktop and Android device to use it), and replying to SMS messages from the desktop. The KDE Connect Indicator fork PPA only has packages for Ubuntu 16.04 (including KDEConnect 1.0, required by indicator). However, I've installed the packages in Ubuntu 16.10 and they installed successfully and everything worked, except browsing the device - but this didn't work in my Ubuntu 16.04 test either. 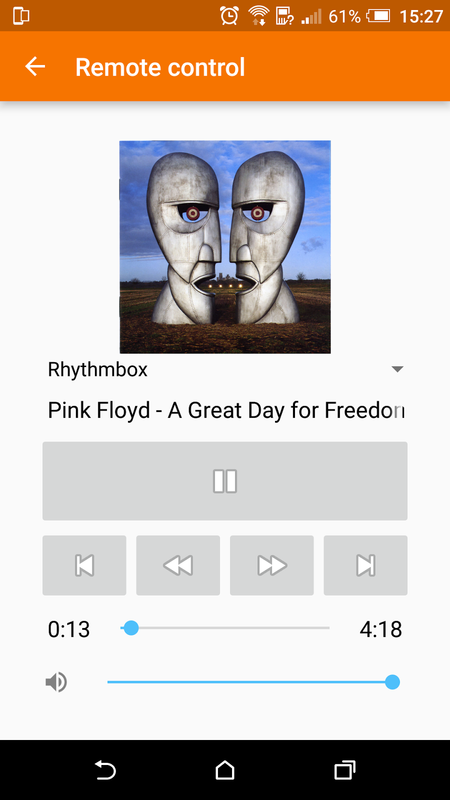 Sending and receiving files, displaying notifications on the desktop, shared clipboard, using the Android device to control media players or as the computer's touchpad, and so on, all worked in my test. I should also mention that the indicator may disappear when the phone is in sleep mode, but it shows up again when you receive a notification or use your Android device. Important: Before installing KDE Connect Indicator, it's important to mention that it depends on kdeconnect, a KDE package which will install quite a few KDE dependencies. If later on you want to remove KDE Connect and KDE Connect Indicator, you may want to save the list of packages which are installed by running the "apt install" command below, and manually remove those packages after you remove KDE Connect ("apt-get autoremove" won't work). 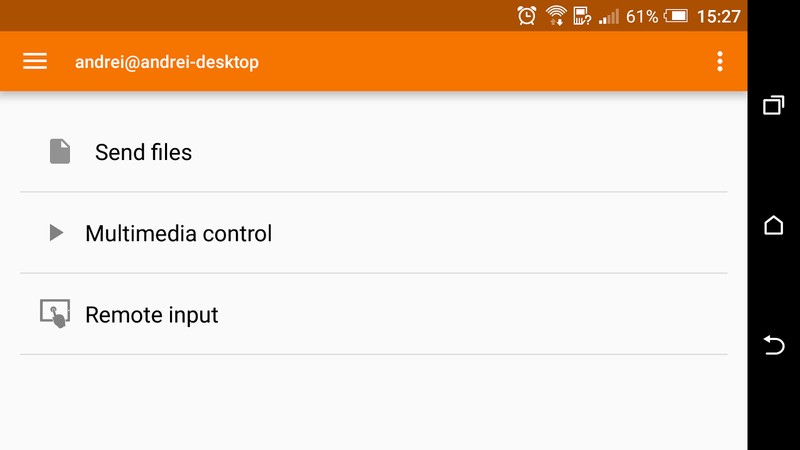 To be able to use KDE Connect Indicator, you'll need to install the KDE Connect application on your Android device. 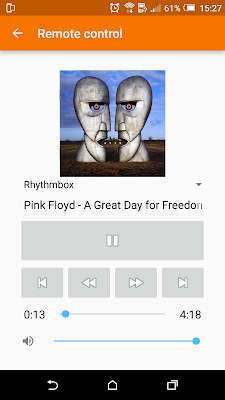 Arch Linux users can install KDE Connect Indicator (git) via AUR (it uses the new fork). Once installed, launch KDE Connect Indicator from the menu / dash. For pairing it with your Android device, see below. Note: if you had an older version of KDEConnect installed before installing the version from the PPA, you may need to restart your system before KDE Connect Indicator works properly. For source code, bug reports, see the KDE Connect Indicator fork GitHub page. 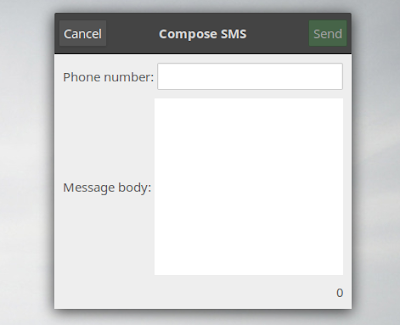 b) select the desktop device from the KDE Connect application on your Android device, click "Request pairing, then on the desktop click "Request pairing" from the KDE Connect Indicator menu. Thanks to Alex for the tip!